Project Websites | Kittelson & Associates, Inc. The US 20: Pioneer Mountain to Eddyville project is replacing the existing highway with a new section built to be three miles shorter & far more safe. The new roadway follows the existing route in some locations, and deviates in others. Widening the highway will allow interstate trucks to use the route, and more passing opportunities will be available than previously. KAI designed this site to keep the public up to date with a project that affects thousands of people as they use US 20 between Eugene and Newport. The website integrates with Flickr, YouTube, and Vimeo to allow updating of information on the fly. The Tigard Neighborhood Trails Plan will look for opportunities to improve bicycle & pedestrian connectivity in Tigard by connecting streets and trails with short off-street paths. New paths will seek to create formal connections, where only informal connections currently exist. KAI developed this website as a primary source of public information collection. 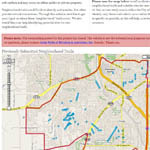 The website asked visitors to draw lines on a map where they knew of existing neighborhood trails. 57 lines were drawn by the close of the study period, providing a valuable starting point for our work. A small survey accompanied the submission of each trail. The Florida Department of Transportation is developing a methodology for analyzing regional traffic impacts of self-contained new communities. Relying on previous trip generation and internal capture studies, as well as conducting new research, they're developing a proposed methodology for analyzing the impacts of these self contained new communities. KAI developed a website to allow the sharing of documents among all researches provided access to the site. 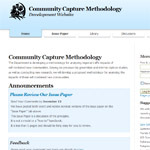 Every member can start new discussions, upload new documents to share with others, and comment on others' documents. Administrator accounts can add users, moderate comments, and delete documents and discussions. 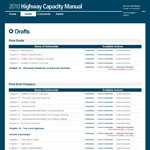 The purpose of NCHRP 3-92: Production of the Year 2010 Highway Capacity Manual is to develop an up-to-date to the Highway Capacity Manual that is more directly relevant to the system and facility planning and design needs of engineers and planners in 2010. This site was designed by KAI to allow the various groups contributing to the manual, namely the Highway Capactiy & Quality of Service committee and subcommittees, to download drafts, view schedules, and submit comments all in one place. When a commenting period closes on a draft, users can then view whether or not their comment was accepted and why. The administrative section of the site enables administrators to add new users, add drafts, give other users "review assignments", and send out mass-emails. 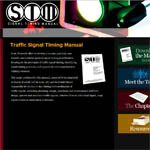 The Traffic Signal Timing Manual is an 18-month effort to develop a concise, practical, user friendly and modular guide to signal timing practitioners, focusing on the principals of traffic signal timing, identifying sound timing practices, and a practical and comprehensive tabletop resource. This is a public site for informational purposes. It was created to raise awareness for the Signal Timing Manual, provide a link to download the manual, and provide basic information on the manual's content. 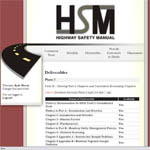 The purpose of NCHRP 17-36: Production of the First Edition of the Highway Safety Manual is to compile all of the research that forms the core content of the HSM and to convert the technical research into a guidance document accessible to practitioners. This site is secured by login and password, allowing only logged-in users of the site to download and comment on drafts and deliverables. There is a separate administrative site that allows KAI employees to add new users, upload new drafts, and download submitted comments. © Copyright 2001-2009 Kittelson & Associates, Inc.
We are committed to accessible information on the web. We proudly support web standards and accessibility through valid XHTML & CSS.